The VP248QGL-P Full HD monitor with a high contrast ratio is optimized for superior image and color quality. This approach extends to the sturdy stand and slim profile without compromising style in ensuring stability and durability. Dynamically enhances the display's contrast by adjusting the luminance of the backlight to deliver lifelike images. 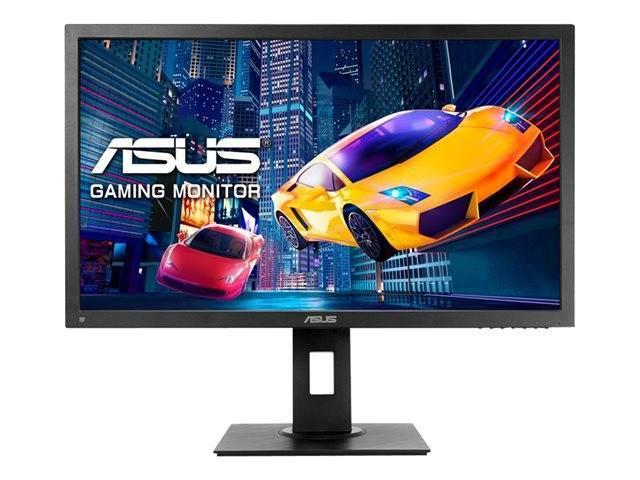 ASUS VP248QGL-P eliminates smearing and motion blur thanks to a quick response time. In addition, Adaptive technology eliminates screen tearing and choppy frame rates for even more seamlessly smooth gameplay. It's time to say goodbye to those tired, strained eyes. VP248QGL-P features ASUS flicker-free technology to reduce flicker for a comfortable viewing experience. This technology helps minimize instances of eyestrain and other damaging ailments, especially when you spend long, countless hours in front of a display watching favorite videos.